Cholesterol, the soft waxy substance found virtually in every cell of a human body has been the negative target of medical attention for many decades and blamed for its role in contributing to heart disease. Cholesterol containing foods have often been demonized for the last three decades and high cholesterol diets have been warned against by all doctors across the country. Along this line of medical protocol to keep cholesterol numbers under control, a low fat diet was recommended combined with cholesterol lowering medications, known as statins. Surprisingly, this conventional medical approach has not drastically helped to lower cholesterol numbers and heart disease instances but further contributed to some serious statin drugs side effects. So how did that happen that a substance that the body actually needs just for about all vital processes has come under such massive medical attacks, and does it really contribute to heart disease and strokes as we were led to believe? Before we dwell on the truth about cholesterol numbers and how they affect our health, let us look at what cholesterol really is. 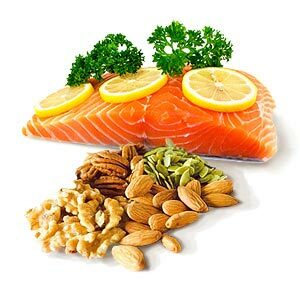 Cholesterol is a building block of cell membranes and a necessary component for hormone synthesis, helping body to naturally generate vitamin D from the sun and playing a pivotal role in brain neurotransmission. So in reality, a body needs cholesterol but alone it cannot be transported to its destination points across the body. Liver makes up to 75% of total cholesterol and the rest comes with foods we consume daily. Once the liver releases cholesterol into the bloodstream, this is when lipoproteins come into play that are known as “good” and “bad” cholesterol. Bad cholesterol or low density lipoprotein (LDL) is not all that bad as it helps transport fatty building blocks to the cells across the body. Good cholesterol, also known as high density lipoprotein (HDL), helps body dispose of “extra” fat deposits that may have adhered to artery walls and from the blood stream. As you can see, both LDL and HDL have their very important roles in the functioning of a healthy human body. Other important components of the cholesterol game that need to be understood are the triglycerides, these are merely fats that are found in the core of lipoproteins that later get settled in the fat tissues under the skin and surrounding all organs. Most conventional doctors across the nation urge all adults over the age of 20 to undergo regular cholesterol screenings to help monitor total blood cholesterol numbers. A standard fasting lipoprotein profile includes cholesterol levels being measured in milligrams per deciliter of blood. In addition, these numbers are broken down further to measure total blood cholesterol, HDL, LDL and triglycerides separately. The American Heart Association provides general guidelines for the total cholesterol numbers to be under 200 mg/dl. For patients with a family history of heart disease, diabetes, strokes and high levels of triglycerides, these recommended levels are further lowered to 130 mg/dl. For high risk patients some doctors even go as far as recommending cholesterol home tests that work similarly to glucose meter sticks and help monitor blood cholesterol between doctor visits. However, most doctors agree that the latter are not nearly as accurate as they do not take into account other factors that are often important when accessing cholesterol levels. In the recent years, however, medical research breakthrough has rendered new light on the issue of cholesterol numbers and their connection to heart disease. Researchers in the lipid biochemistry, Mary Enig Ph.D. and Sally Fallon, the head of the Weston A. Price Foundation (a non-profit organization created to educate people on the benefits of eating nutritional foods), have indicated that the cholesterol chase game emerged when modern technological advances enabled doctors to measure cholesterol numbers in blood and tried artificially lowering them to unattainable numbers by villainizing high fat foods and glorifying the need for statin drugs. According to this and other research findings, total cholesterol levels alone cannot indicate whether a certain patient has a higher chance of developing a heart attack or stroke down the road; and putting all patients with high cholesterol numbers on medications to lower cholesterol simply is not the right decision. The blood lipid level panel should be evaluated in detail as to the ratio of HDL cholesterol to LDL cholesterol and the actual number of triglycerides. In reality, artificially lowered levels of cholesterol put a patient at an increased risk of other no less dangerous health conditions according to Dr. Mercola, a well known advocate about taking charge of your own health without pharmaceutical drugs. Without proper cholesterol levels in the blood, the liver starts working in overdrive producing even more cholesterol to make up for the loss and the body puts itself in the fat preservation mode triggering a dangerous increase in the levels of triglycerides leading to advanced atherosclerosis (hard fatty plaque deposits on the arteries). Moreover, with less cholesterol the body does not have enough building material for synthesizing necessary estrogen, testosterone, cortisol and a host of other hormones the body needs for healthy reproductory functioning resulting in higher instances of irregular cycles, female and male infertility and other health disasters. According to a study carried out by Dutch scientists, men with levels of cholesterol of 150 mg/dl or lower have showcased higher levels of depression, mood swings and overall sadness. This can be explained the way cholesterol helps the brain metabolize serotonin that regulates mood. These drawbacks of having cholesterol numbers that are too low due to eating extremely low fat diets and taking statins do not even include potential dangerous side effects from these medications. Some of the cholesterol drug side effects include muscle weakness and damage, memory loss, depression, mood swings, liver damage and others. Additionally, keeping predominantly to low fat diets intended to lower cholesterol numbers will put a person at an increased risk of overeating and loading up on foods rich in carbohydrates, sugars and artificial ingredients. This is due to a fact that a person simply does not feel satisfied by eating low fat foods alone resulting in weight gain and other unpleasant side effects of low fat eating. Eating a high fat diet is not what leads to high cholesterol and heart disease! This fact is further backed up by Dr. Kendrick’s analysis of the correlation between blood lipids and deaths caused by heart disease across many different countries in the world. According to his findings, France being the highest consumer of saturated fats at the same time has the lowest instances of heart disease and mortalities caused by this condition. Same stands for Switzerland which is considered the second highest consumer of saturated fats in the world with yet less incidents of heart attacks and strokes caused by high fat consumptions. On the other side of the spectrum are Australian Aboriginals who have the lowest levels of cholesterol, yet the highest instances of deaths as the result of heart disease caused by excessive smoking and sedentary lifestyles. Lately the cholesterol and heart disease connection has been revised not only by Dr. Mercola but by other leading researchers in the field. According to their findings it is not dietary cholesterol to be blamed but actually inflammation that a body is under due to eating highly processed foods loaded with sugars, artificial sweeteners and alcohol multiplied by the lack of exercise. Inflammation leads to damaged cells that the body is hastily trying to mend by overproducing cholesterol, a known building block for cell membranes leading to a drastic increase of LDL cholesterol and triglycerides in blood. Another important culprit behind heart disease and atherosclerosis is body’s oxidative stress caused by high paced lifestyles, chronic lack of sleep, environmental pollution and “fake” foods. 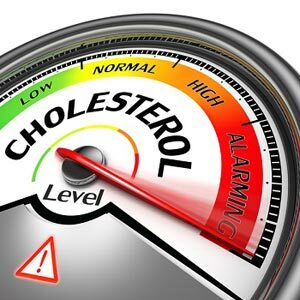 Inflammation causes high levels of cholesterol and not the other way around, so lowering cholesterol artificially is not doing the body any favors. This is because the underlying factors contributing to the high cholesterol condition have not been taken into consideration. How do you naturally lower inflammation and cholesterol? Quitting smoking and limiting alcohol consumption are top and foremost important precursors of reducing inflammation along with getting plenty of daily low impact exercise. Addressing emotional challenges and stress levels are another important factor playing a pivotal role in oxidative stress and inflammation. Including high quality good cholesterol foods like wild Alaska salmon, plant sterols and stanols rich beans and healthy plant based fats such as avocado, walnuts and almonds can help eat less by filling up faster. So now that we know that new medical findings prove that the cholesterol is not really the culprit behind elevated risk for heart disease and stroke, it is time to take charge of our health through cooking new cholesterol lowering recipes with nutritiously dense real foods like organic free range eggs, grass fed butter and beef along with plenty of organically grown raw veggies. Holistic medicine offers so many great remedies for reducing inflammation and lowering chances of heart disease. Krill oil is among the most superior cholesterol lowering supplements recommended by Dr. Mercola and other alternative health gurus. Not only this mighty Omega-3 rich supplement can act as a potent antioxidant, it has been proven to actually lower blood lipid levels over time. Among highly effective herbs for cholesterol are goldenseal, a powerful antioxidant and a source of vitamins and minerals and red rice yeast extract, highly regarded by Andrew Weil, just another well known natural health advocate. Green tea, dandelion and licorice can all be brewed into special tea for cholesterol, providing not only delicious beverage but a natural concoction to fight high levels of inflammation and cholesterol. 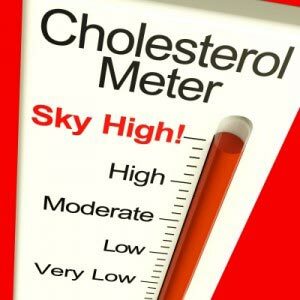 What is the truth behind the cholesterol numbers and should you blindly be led by the blood lipid test findings? Many health professionals start to believe that elevated cholesterol numbers alone are not a direct indication to start a statin lowering medical protocol. On the contrary, many current research findings point to the direction that dietary cholesterol and blood lipids are not contributing to heart disease but it is inflammation playing a pivotal role in the heart disease causes. After learning a little bit about old and new theories and facts about cholesterol numbers feel free to browse our website to find out more about specific areas you might be interested in. Please help us to spread the word around on social media and like us on Facebook, follow us on Twitter @cholesterolnum and Google+ and repin our pins on Pinterest. We really appreciate it!